Anderson argues that the internet has democratised the means both the ‘tools and the means of production’. So we all start from the same place. 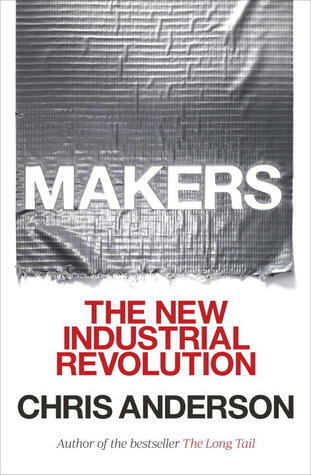 He outlines a series of trends and the reasons why he believes we are in the midst of a new Industrial Revolution. We all have it within us to create.He also believes that we are all ‘makers’ but that the 1980s and 1990s saw the romance of ‘making things with our hands fade. He takes the concept of each individuals potential to ‘make’ something significant, further in his chapter ‘We are all Designers now’ . Commenting that we better get good at it, as industrial quality tools make their way into our homes and many of us have started to teach ourselves how to use professional tools such as Photoshop or CAD to draw and our own 3D printers to print!